Nearly 5,000 helicopter pilots and crewmembers lost their lives conducting aerial operations in Southeast Asia during the Vietnam War. On April 18, 2018, a monument to those service members was dedicated in Arlington National Cemetery. Lawrence Lanier, who retired from the Army as a chief warrant officer 4, flew the UH-1 in Vietnam. He said he’s got about 4,000-plus hours in the air over the duration of his Army career, with about 800 combat hours in the Huey in Vietnam. Larry Earles, left, and Lawrence Lanier, right, both served as helicopter pilots during the Vietnam War. 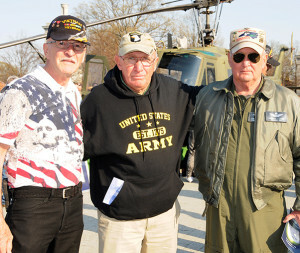 Dave Hause, center, served as a helicopter crew chief during the war. All three attended the dedication of the Vietnam Helicopter Pilot and Crewmember Monument at Arlington National Cemetery in Washington, D.C., April 18, 2018. 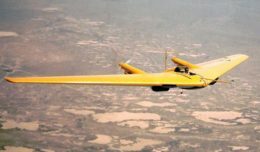 “Most of my time was spent flying command and control for the brigade commanders or the battalion commanders, whatever mission came up,” he said. Lanier, who was born in Lumberton, N.C., and who still lives there today, said it’s about time there’s a monument for those who lost their lives in Vietnam flying helicopters into and out of combat zones. But as time went on, he said, and his aircraft still didn’t get hit, Soldiers got worried he was tempting fate and that he was due for something bad. Hause may have been lucky, but for those who weren’t, he said he’s glad now that there’s something to remember them in Arlington National Cemetery. 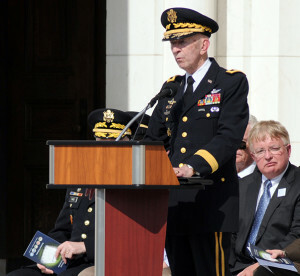 Retired Maj. Gen. Carl H. McNair, who served as a helicopter pilot during the Vietnam War, discussed the impact of rotary-wing aviation on the Vietnam War effort during the dedication of the Vietnam Helicopter Pilot and Crewmember Monument at Arlington National Cemetery in Washington, D.C., April 18, 2018. 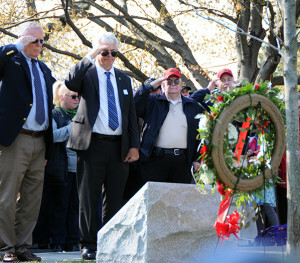 “It feels like the thank you, the welcome home, the respect, that would have been appreciated 50 years ago,” he said. But Earles was quick to point out that while a thank you would have been nice, he didn’t think it was required.